The first three people are still living so their details are not visible in the Family Tree webpages but links are provided to public webpages if you would like to learn more about them. 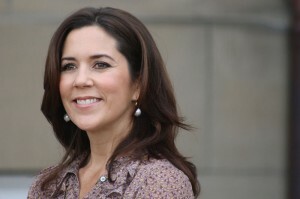 Mary, Crown Princess of Denmark, the former Mary Elizabeth Donaldson. Mary Elizabeth Donaldson and Crown Prince Frederik of Denmark married on 14 May 2004 in Copenhagen Cathedral, Copehagen, Denmark. Mary is Craig’s sixth cousin. Born in Tasmania, Australia, she is the youngest of four children born to John Dalgleish Donaldson a native of Port Seton, a small fishing village on the Firth of Forth just to the east of Edinburgh, Scotland. Her mother, Henrietta (nee Horne) also hailed from there. Our mutual ancestors, through her father’s line, were John Jones and Agnes Young who settled in the adjacent village of Cockenzie in the late 1700’s. Craig is descended from John and Agnes’ son, William Jones, Mary from William’s brother, George Jones. The links between the Donaldson and Jones families in Cockenzie are numerous. Craig’s Jones family ancestry and the story of Cockenzie is featured in his book In the Shadow of Feathertop. Find Mary and trace her ancestry back in Craig’s tree here. Follow the Donaldson line, then the Horn and Jones lines to John Jones and Agnes Young. Read about Mary (and her parents) in Wikipedia. Celine’s second cousin, once removed (i.e. her father’s second cousin). A child prodigy and the youngest musician to ever be nominated as a Professor at the Paris Conservatory, Pierre is a world famous concert violinist. Currently living in Switzerland, he teaches at the Laussane Conservatory. 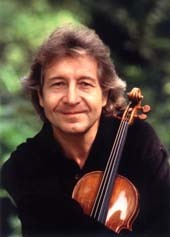 Pierre is also the owner of the “Kochanski” Stradivarius violin which was famously stolen in 1987 and recovered four years later by the Italian Carabinieri. Pierre has a webpage which you can visit here to learn more about him. Emma is a second cousin to Craig’s aunt, Jeannie Sullivan (nee Martin). She is a renowned English actor with an extensive and impressive body of work on stage and screen. Her parents, Eric Thompson and Phyllida Law were also very well known English actors, and her sister Sophie is also an actor. Emma is currently married to Greg Wise, also an actor. You can read about Emma (and her parents, sister, and husbands) here at the IMDb website. 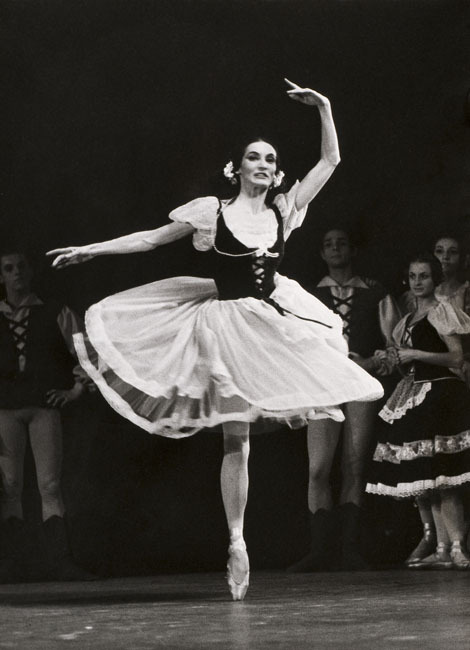 Joan Cadzow performing Giselle with the Dutch Ballet, 1955. Photo by Maria Austria / MAI in the Collection Netherlands Theatre Institute. Joan Cadzow was born in Wagga Wagga, Australia in 1929. In 1942, at age 12, she won a scholarship to attend the Royal Academy of Dancing in London and went to London at age 17. She had a distinguished career in Europe as a Pima Ballerina. In 1949 she was performing with the Sadlers Wells Ballet Company in England but later left to perform in Paris and all over Europe. By 1966 she was the Prima Ballerina with The Ballet of the Deutsche Oper am Rhein, which performed in Düsseldorf and Duisburg in Germany. 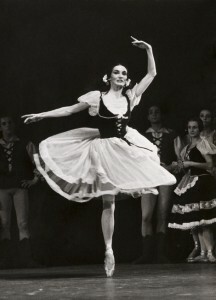 Joan retired from performing at the age of 51 in 1981, but continued to teach and coach. She died in Düsseldorf in 1994. Joan’s story is told in more detail here.